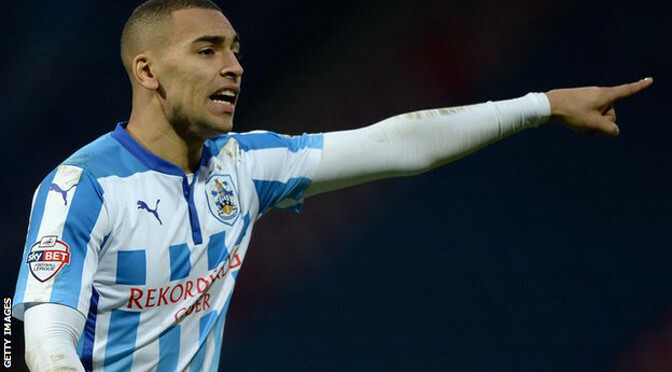 Huddersfield overcame Nahki Wells’ sending off to beat Millwall. The Terriers’ were down to 10 men early in the second half when the striker was shown his second yellow card. 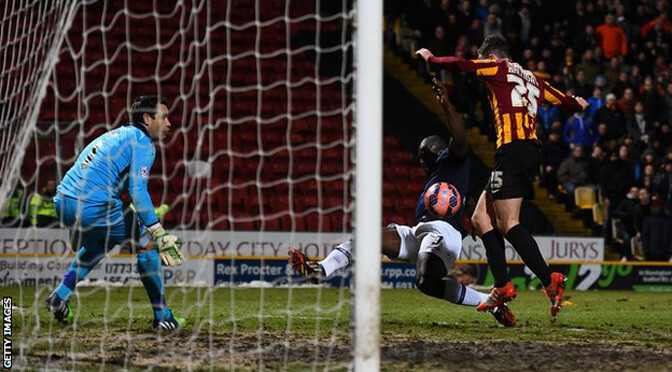 Sean Scannell’s neat finish had put the Yorkshire club ahead, but Stefan Maierhofer cancelled it out before half-time. Jacob Butterfield gave Huddersfield the lead again from long range, and a late penalty from James Vaughan sealed the three points for Chris Powell’s side. Millwall remain in the bottom three having extended their winless run at the New Den to nine games. But hopes they would follow their victory at Nottingham Forest last time out with three crucial points at home came to nothing despite a good start, where Maierhofer hit the woodwork early on. Huddersfield had gone close to opening the scoring when Millwall’s Jos Hooiveld cleared the ball off his own line, but they were ahead seconds later. Scannell’s smart finish gave Huddersfield the lead, but it lasted little more than 10 minutes when a clearance from David Edgar struck Maierhofer and looped into the Huddersfield net. Harry Bunn’s curling shot hit the bar and Wells forced a good save out of Millwall goalkeeper David Forde as Huddersfield finished the first half strongly. A poor challenge on Shaun Williams gave Wells his second booking in the 50th minute, but the away side responded well to the setback. Having absorbed considerable Millwall pressure Huddersfield seized their chance, with Butterfield’s long range shot having too much venom for Forde to hold on. Bunn was brought down in the box with six minutes remaining, and Vaughan sent Forde the wrong way from 12 yards to condemn Ian Holloway’s side to their eighth home defeat of the season. Harry Arter scored for the fifth successive league game as Bournemouth beat Millwall to move four points clear at the top of the Championship. The Cherries took the lead when Yann Kermorgant scored from the penalty spot after Charlie Daniels was brought down by Lee Martin. 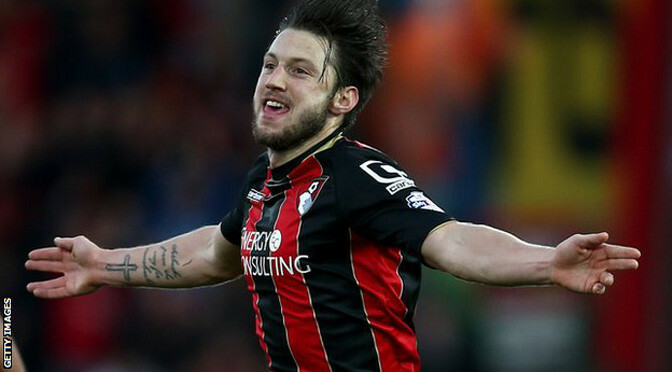 On his 25th birthday, midfielder Arter then fired into the bottom corner to make it 2-0 before the break. Shaun Williams’ red card with 10 minutes to go added to Millwall’s woes. Ian Holloway’s side were looking to recover from their 6-1 thrashing at Norwich on Boxing Day, which left them three points away from the relegation zone. And, although the Lions looked composed in the opening stages of Sunday’s contest, they could not match the Cherries, who are unbeaten in the league since September. Defender Sid Nelson, on his professional debut for Millwall, headed inches wide before Martin’s effort was gathered by keeper Artur Boruc. The Londoners were punished in the 32nd minute when Martin tripped Daniels in the box and, although the hosts were convinced it was outside the area, their appeals were waved away and Kermorgant slotted home. The goal settled the Cherries and they were soon two up when Callum Wilson beat the offside trap and pulled back for Arter to drill into the bottom corner. After the restart, Millwall pushed to make the breakthrough but Lee Gregory shot over the bar and Jimmy Abdou’s ball in evaded everyone in the box. Arter’s strike was then blocked by Nelson before Dan Gosling fizzed his shot just wide for the visitors, and their victory looked inevitable when Williams received a straight red for kicking out at Wilson. 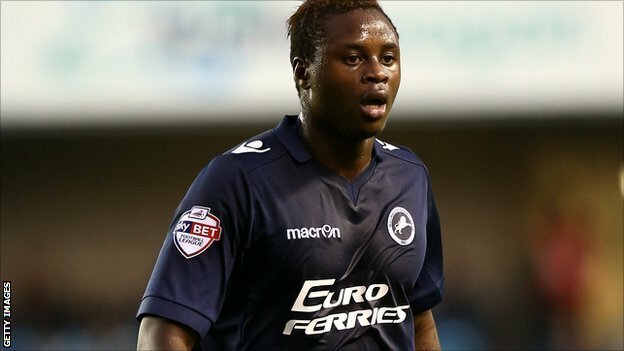 Magaye Gueye’s late strike rescued a point for Millwall as Bournemouth missed the chance to go top. The Cherries opened the scoring through Steve Cook, who found the net with a header from Andrew Surman’s cross. Brett Pitman made it 2-0 after latching onto Matt Ritchie’s pass, before Ed Upson’s back-post header pulled one back for the Lions. Alan Dunne’s header then hit the bar for Millwall, who equalised when Gueye lashed home from inside the box. The result sees Bournemouth, who had been top at one stage in the afternoon, slip to fourth, two points off leaders Derby, while Millwall are 20th – two points off the bottom three. Bournemouth dominated the first half at Dean Court with an early Cook header coming before Ritchie’s strike flew just wide of the target. Yann Kermorgant’s header from Simon Francis’ cross cleared the bar for the Cherries while Pitman saw an effort tipped over by David Forde. However, their breakthrough came after 22 minutes when Cook’s header back across goal beat Forde for 1-0. Soon after, Pitman raced onto Ritchie’s throughball and slid under Forde as Bournemouth doubled their advantage. Millwall came back into the game in the second period with Martyn Woolford nodding wide before Upson pulled one back, heading past Artur Boruc for 2-1. The Cherries wasted a golden chance to seal the game when Pitman found himself in front of goal. But, rather than slot past Forde, he opted to tee up Junior Stanislas, who found the net but was in an offside position. And they paid the priced when the visiting team levelled the score, with Gueye firing home in the 88th minute.